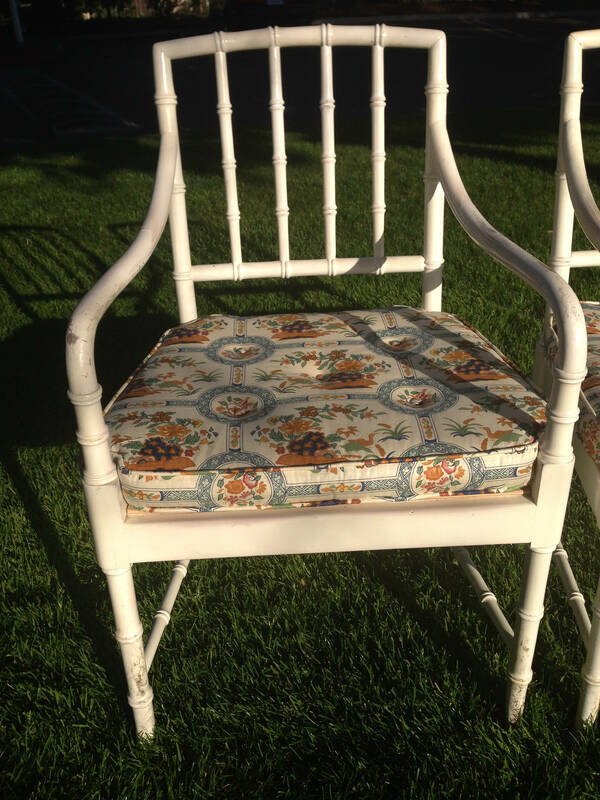 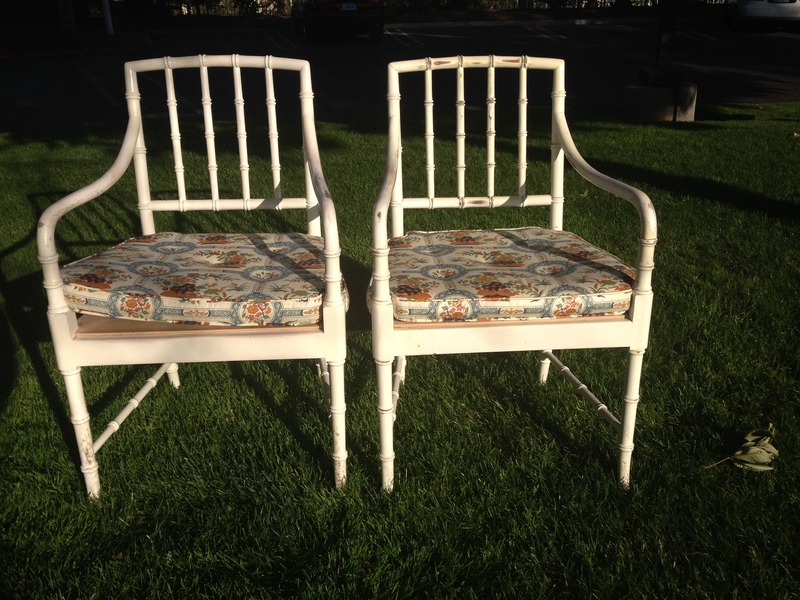 Pair of Fabulous Chinese Chippendale Chairs! 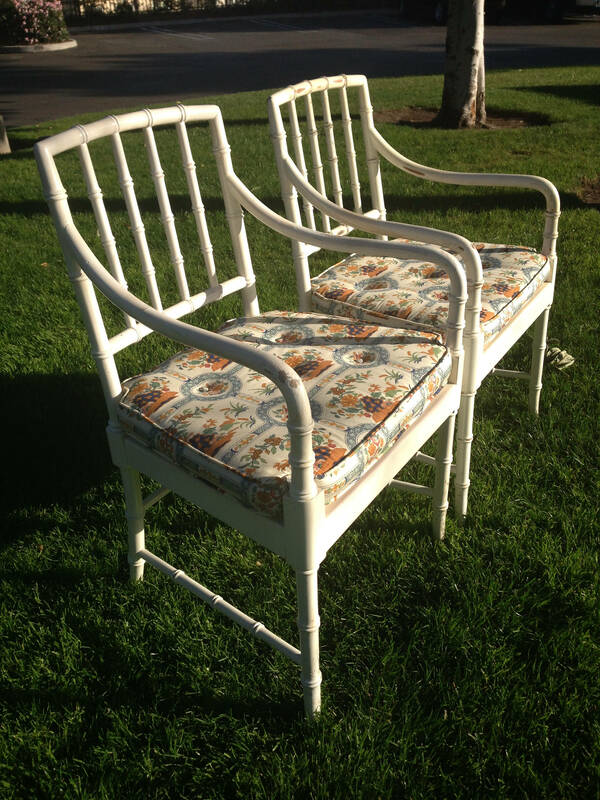 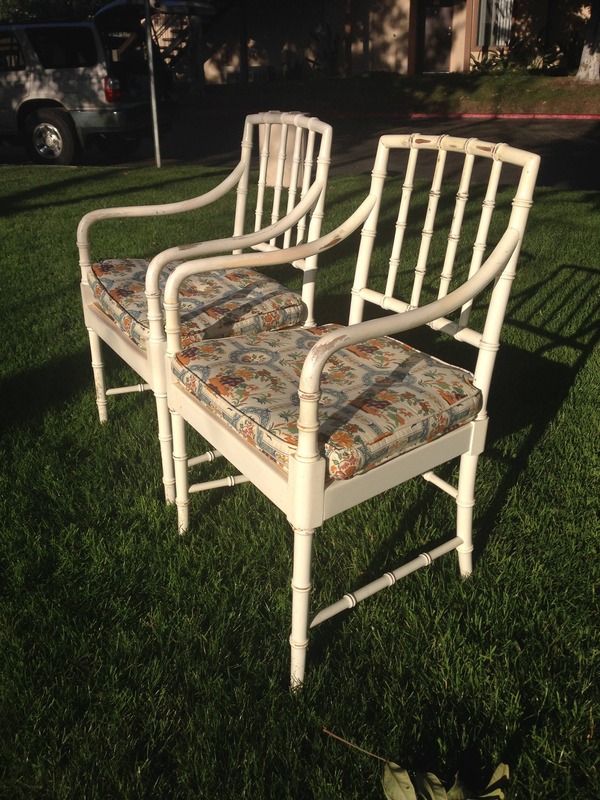 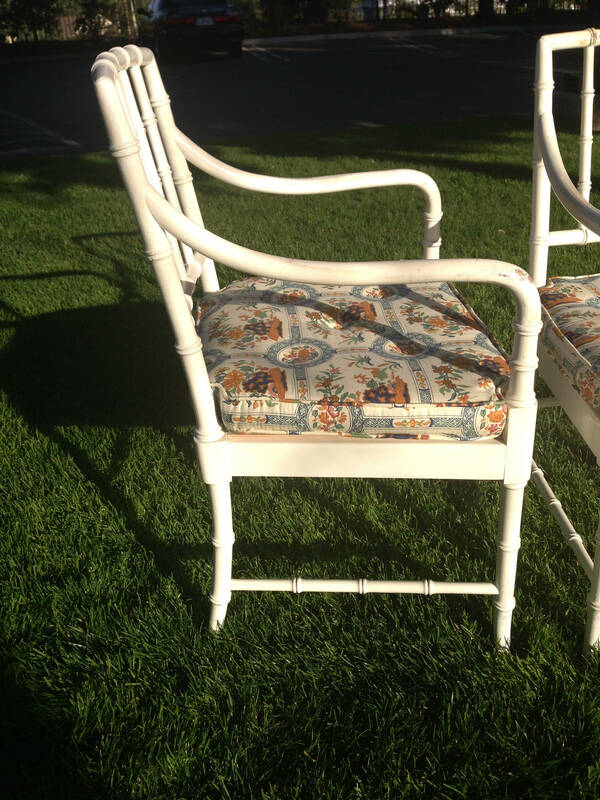 Fabulous set of vintage Chinese Chippendale armchairs with faux bamboo frames. 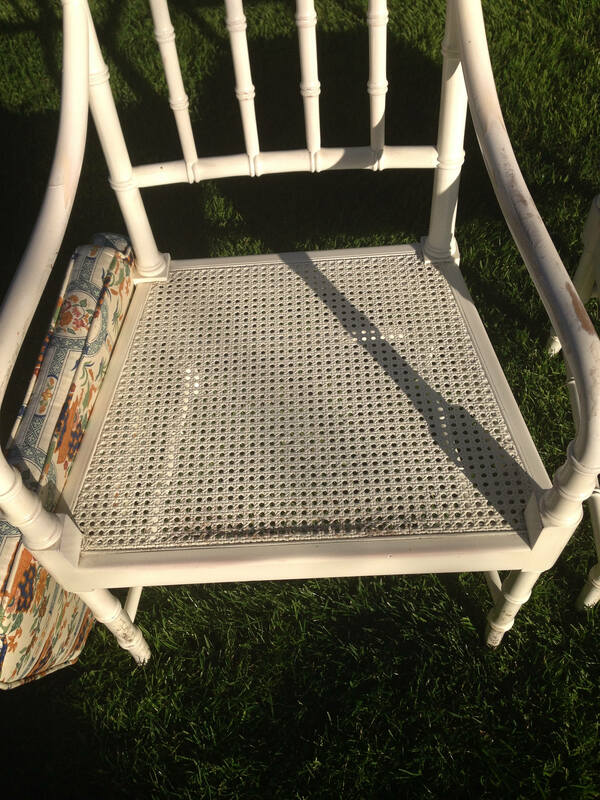 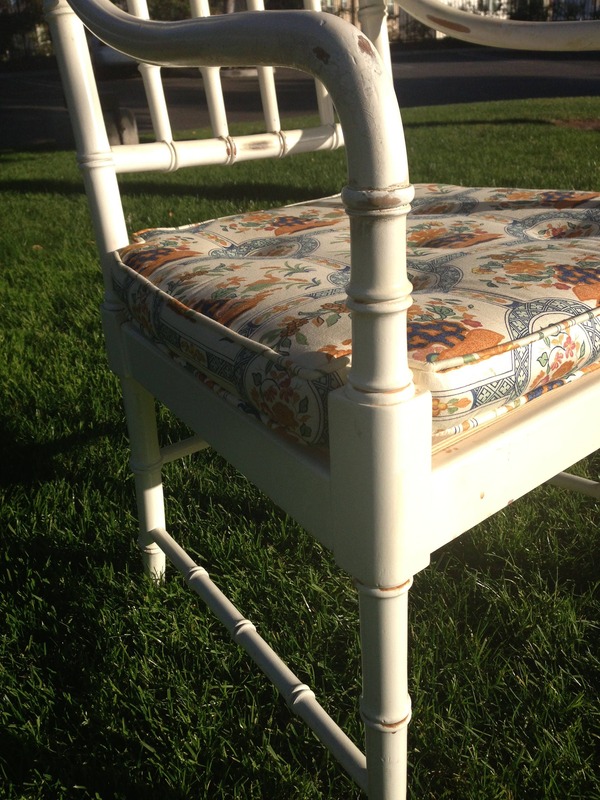 Features a white finish with coordinating seat cushions. 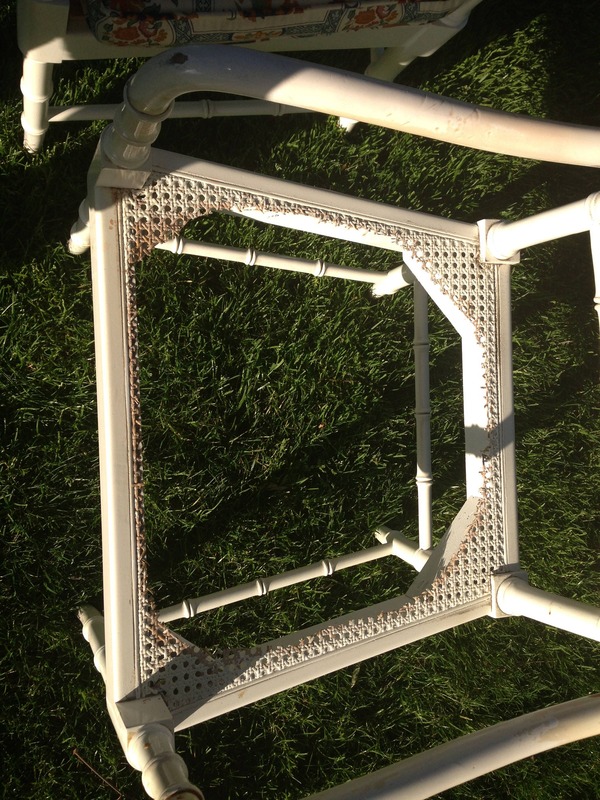 The woven cane is not intact and custom seats have been cut to replace seats. 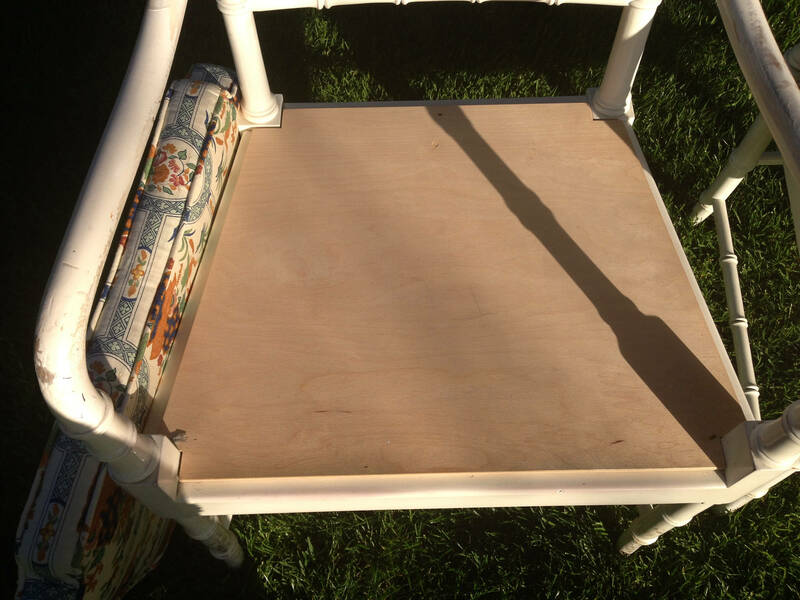 Well made, solid, and sturdy. 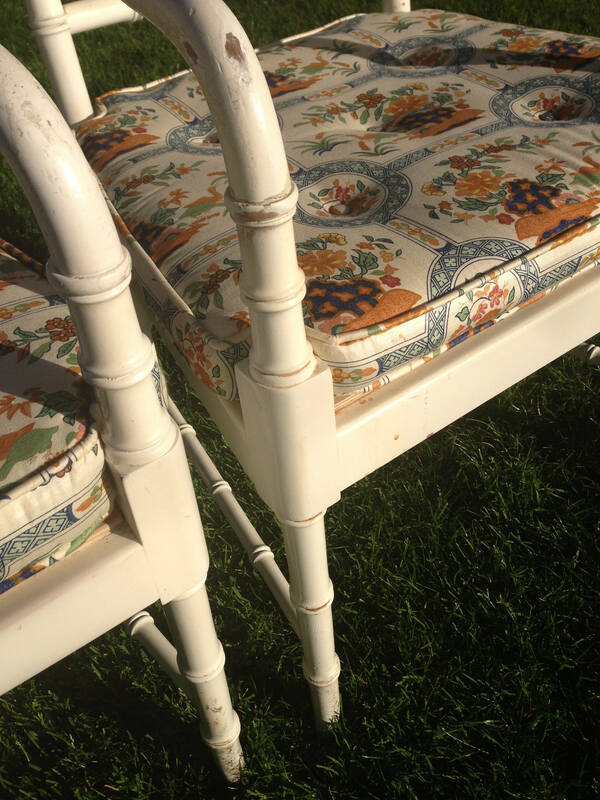 Shows some surface wear to the frames and fabric.